Are you thinking of developing an eCommerce website? Do you wish to sell your products online? Good eCommerce web design can help to turn visitors into customers. An experienced eCommerce web design Toronto company can help you grab more customers and increase your sales. You could be losing a lot of business if you do not have a well-optimized website. If the users search for something online over a website but are not able to find it, they may get frustrated. It is essential to have an easy to navigate website so that users can reach the desired page with a minimum number of clicks. Having an easy checkout process makes your website a trusted choice of more and more customers. eCommerce web design is not only about offering products and services to customers. It’s about providing an amazing shopping experience for the users. If you are planning to build an eCommerce store from scratch, this guide can help you. Have you heard of the dual-process theory? It’s the idea that there are two different systems at work during the decision-making process. One is automatic and unconscious, while the other is controlled and conscious. You must understand how to appeal to system one. The automatic and unconscious one. When customers come to your website searching for something specific on your eCommerce store, they should be able to reach the desired product page with minimum clicks. They should be able to filter out the search results and save a lot of time and efforts. For instance, if you own an online shoe store, users would not like to search for products for all sizes. How convenient it would be if they could filter out the size options? Instead of spending hours picking out the right pair of shoes for themselves, they can find their size within minutes. Remember system one! Another example would be an online book store. Let’s say you were looking for only “motivational” or “Sci-fi” genres of books. It would be easier for you to search for the right book according to your interest. You will try to avoid system two, the controlled and conscious one. You want to guide your user for the best options in your store and you want a satisfied user. No waste of time here. Each and every single detail of your eCommerce website right from product images to contact forms affects the user’s decision to make a purchase. Hence, keep your users in mind while designing your eCommerce store. Try to imagine yourself at all times as if you were your client. A website that delivers a good user experience turns your users into loyal customers: it makes them repeat customers. Not sure if your website has a good user experience? Get a second opinion from an experienced eCommerce web design Toronto and get opinions. 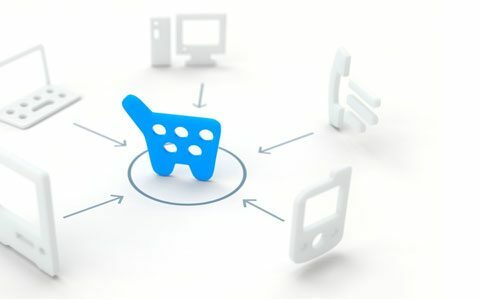 eCommerce means purchasing products online and users would not be able to see those products personally or not even get a chance to touch them until it is delivered. That’s why it is important to include good quality images of the products you’re willing to sell online on your website. Low-quality photos can turn off your visitors. It can be a good idea to opt for a product slideshow or a video to ensure that customers get a clear understanding of the products. Blurry or pixelated images will reduce your sales. Do you like to get lost in the streets when your smartphone is not charged? You would need to ask for someone to help you with directions or buy a map. Now consider going to the largest street market in the world. You simply don’t know where to search. You will need a plan or some guidance. Consider the same experience, now on a website. Your mission is to buy a gift for your newborn niece. We all know the importance of an easy-to-navigate website. Nobody has time today to search multiple pages and sections for the products they are looking for. You can use Breadcrumbs to make smooth navigation for your site. Drop down or flyout menus can also make it easier to provide easy navigation to the users. It may be frustrating for the users to receive calls or emails from your company for order cancellation due to unavailability of products. Make sure that you maintain inventory for your eCommerce site and mention the “Out of stock” items. Instead of removing the items when they get out of stock, you can mention the same on your website. There’s one thing that can irritate the users of an eCommerce store and that’s complicated and lengthy checkout process. Customers may get frustrated if they have to spend a lot of time filling the information on the checkout page. They would love to pick the products and pay for them instantly. One step checkout is the latest eCommerce web design trend in Toronto. Make it easier for the people to pay you, and they will love shopping at your store. Having an eCommerce website isn’t enough. You need to make sure of on-page SEO techniques for your eCommerce store in order to grow your sales. SEO can help you drive traffic to your site and also increase your sales. If you do not have the knowledge about SEO, you can hire an experienced SEO company to help you get the best results. Transparency is key. Build trust. Being honest. eCommerce stores that maintain complete transparency with their pricing are more successful than the ones that don’t. Users may not like surprises about the shipping charges only after they begin to pay. Make sure that you mention the shipping charges on the products page itself. The customer should be aware that he/she has to pay for the shipping and delivery charges also. Any taxes or shipping charges should be mentioned clearly on your eCommerce store. Designing an eCommerce website can be tricky. With the increasing competition in every sector, you need to be geared up with an awesome website with out-of-the-box features to stand out and make your business grow. You can hire the best eCommerce website design company in Toronto and get your dream website. 247 labs is a leading website design company that specializes in eCommerce web design solutions. The company has worked with small and large businesses and helped them achieve their business goals. 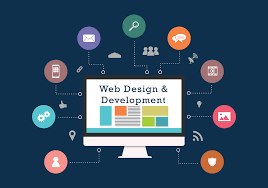 The experienced web designers and developers walk an extra mile to deliver the best solutions for the clients as per their business objectives. No matter what your requirements may be, you can be assured that you will get the best value for the money you spend. And if your idea is not going in the right direction, they will provide you with the best guidance you will need for the next steps. If more than 80% of the ecommerce fails, you need to find a valuable partner that will be honest with you and share their experience to maximize your chances of succeeding with your online business.